Showcasing works by members and past tutors of the Coochie Art Group Inc, Then and Now marks the Fortieth Anniversary of the group’s annual exhibition. It celebrates the long history, diversity and vitality of this passionate group of local artists, brought together by an absorbing love of creating art from their Coochimudlo Island classes since the 1970s. 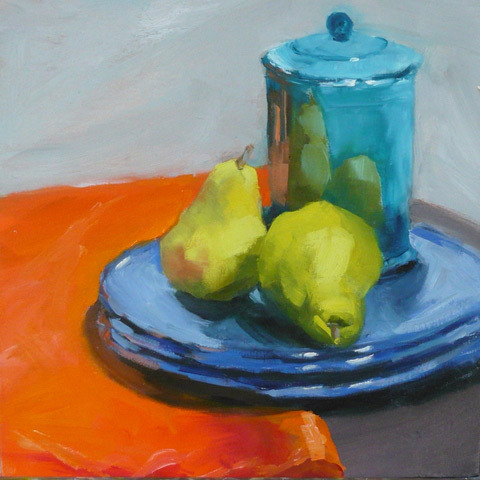 Image: Annie Jamieson, Pears again (detail) 2012, oil on canvas. Courtesy of the artist.